The most common health recommendation you can ever get anytime would be to take water. Logically, the body needs water to function optimally. It’s more like a general instinct to take water when the body feels uncomfortable. Water influences up to 100% of the processes that occur in the body. Apart from eating good food and having a good lifestyle, being short of a healthy water intake might just leave you short of gaining 100% of what you could have had. Naturally, when an average man is dehydrated, the main thing the body requires is water intake. The amount of water an individual needs depends on factors like age, gender and physical activity levels. For example, an athlete will require more water intake than a person who sits and does less physical activities. However, the recommended healthy water intake for a man is around eight glasses per day apart from the water in food. The European Food Safety Authority suggests that 70-80% of daily water intake should come from drinks while the remaining should come from food. It is reasonable to keep the daily water intake at around the eight glasses because in some rare cases, taking too much water may lead to Hyponatremia as a result of abnormal retention of water throughout the body. A healthy water intake should always be considered based on individual differences. Hyponatremia reduces sodium concentration in the blood, causing movement of excess fluid from the blood into the tissue cells and also the brain. Water is the most popular drink in the world and it essential to know that in addition to being natural, there is numerous benefits water. It will be much more interesting if we talk about some of the advantages of a healthy water intake. Water makes about 60% of the body. And water intake helps to transport nutrients around the body and also regulate the body temperature. Have a look at a day in the gym. When you sweat, you lose water from the body. As the body tends to regulate the temperature and concentration, it releases some of the waste product in the form of sweat and when there is a low level of water in the body, tiredness comes in. The kidney sifts out waste and transports urine to the bladder. This process requires a reasonable and healthy intake of water because the organ needs enough fluid to move the waste product away from the body. The body just needs enough water for seamless regulation of the internal environment. One of the leading causes of a headache in most cases is dehydration. Before taking drugs, it is recommended to take a few cups of water. According to studies, most people having headaches were totally relieved in about 30 minutes of drinking water. 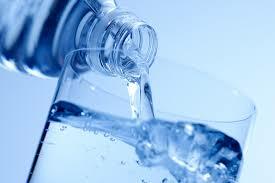 Healthy water intake help hydrate, lubricate the joints and spinal cord. It also keeps the tissues healthy. The cartilage which costs the bones is made up of 80% water and needs water for adequate cushioning and shock absorbing. Not taking enough water may result in clogged skin pores and wrinkles. A healthy water intake helps to flush out toxic materials in the body through the skin and also aid respiration. Taking enough water gives the skin a bright and healthy look.